Cronuts are a hybrid of a croissant and a donut. I know! OMG! 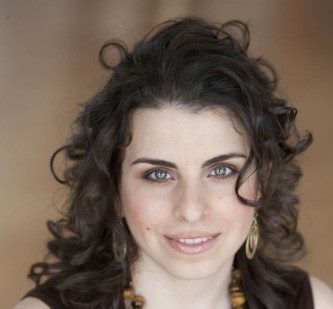 Some of you may already be addicted, but did you know that they are crazy-easy to make at home? Recently I made a batch of cronut holes for my kiddos, and they went crazy! These sweet little one-bite wonders are a great after school treat and come together in minutes. 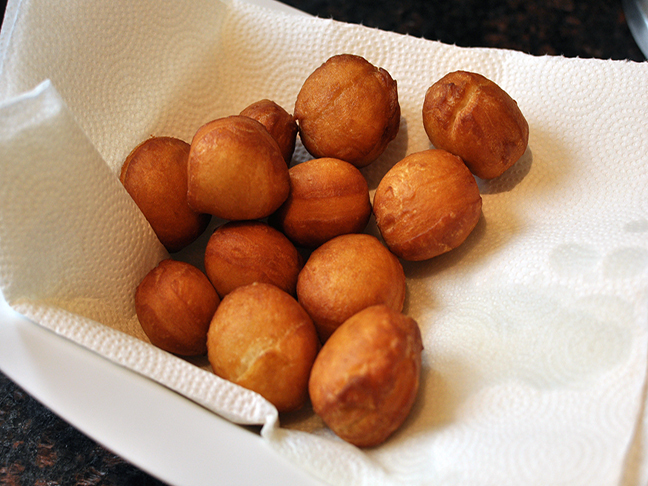 I can’t wait to make them again and serve them to my friends as part of a brunch spread. 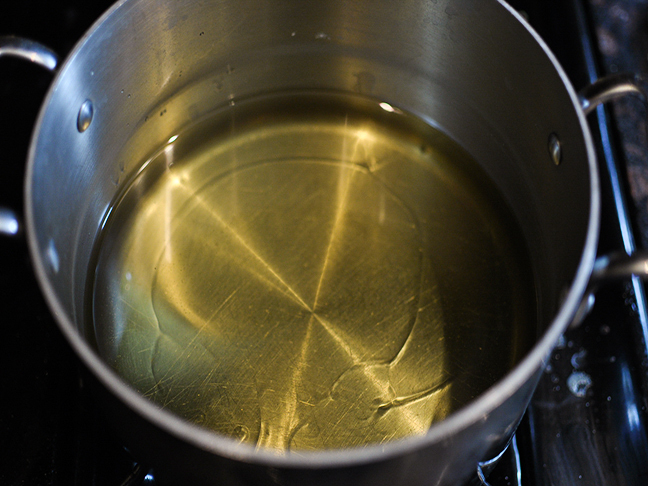 Step 1: Preheat oil in a medium sized, heavy bottomed saucepan until it reaches 350 degrees F.
TIP: If you don't have a candy thermometer to check the temperature of the oil, drop a small piece of dough into the oil. If it starts to sizzle, the oil is ready to fry. If it sinks to the bottom, it needs more time to heat up. 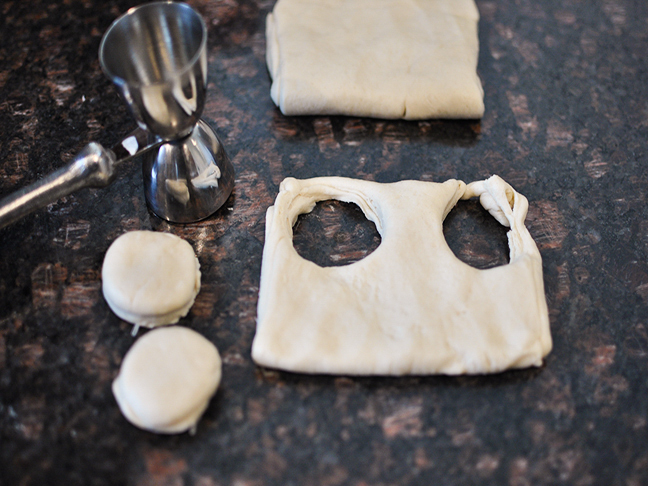 Step 2: Lay the two pieces of crescent dough onto a lightly floured surface. 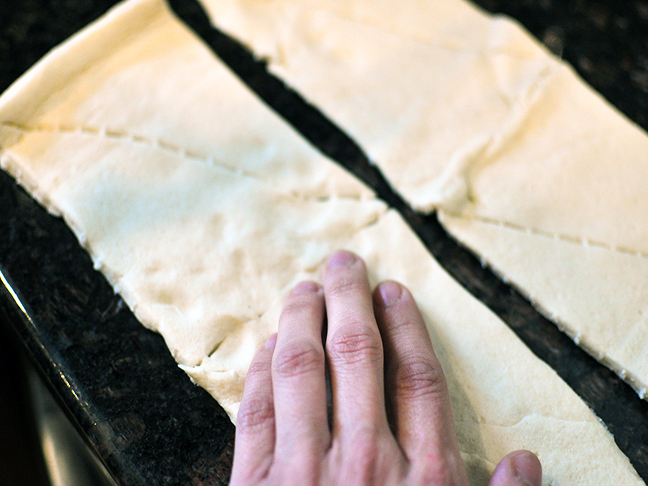 Step 3: Use your fingertips to press all of the seams together. 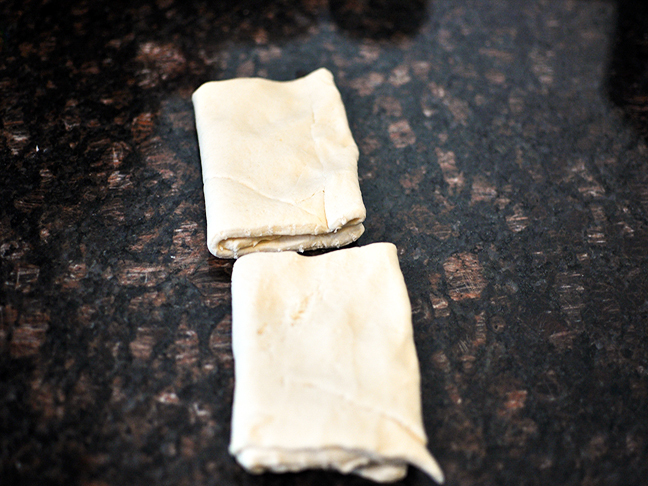 Step 4: Fold the dough in half and then in half again twice more until you get a square. Step 5: Using a 1½-inch circular cutter (shot glass works well for this), cut out circles. 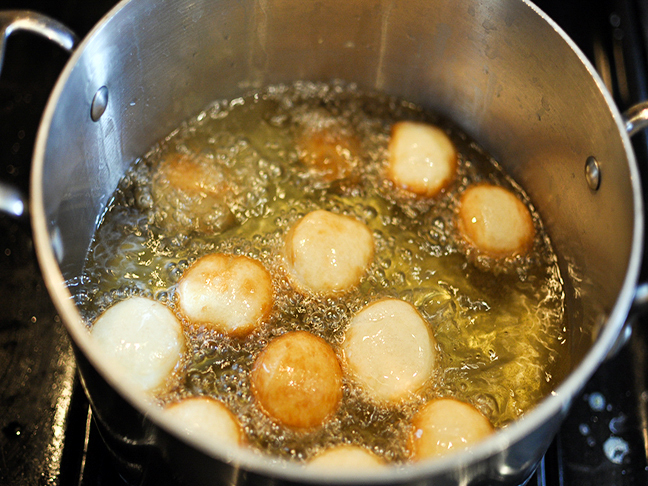 Step 6: Drop circles into the oil and fry for 1–2 minutes or until golden brown. Step 7: Transfer the donuts to a paper towel lined plate while you make the glaze. 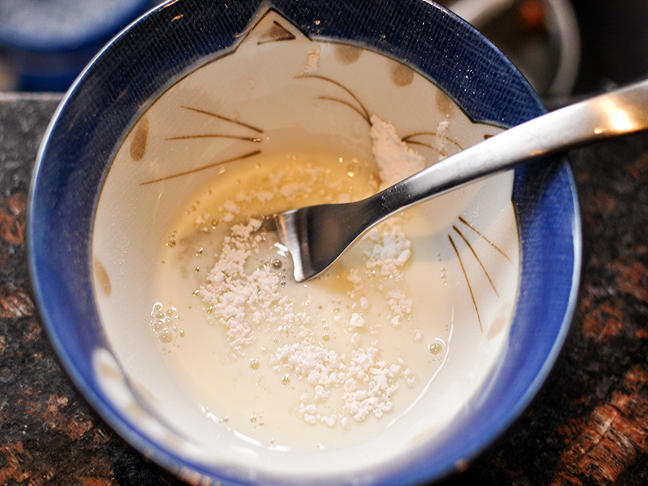 Step 8: In a small bowl, whisk together the confectioner's sugar and 1 tablespoon of milk. 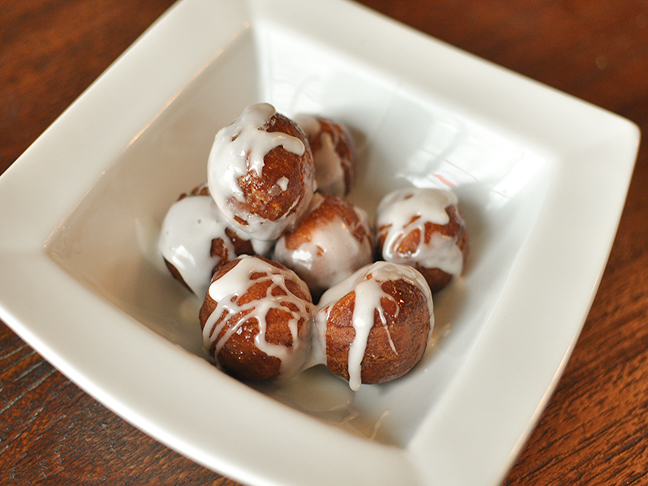 If mixture is not thin enough to drizzle over donuts, add 1 tablespoon milk. 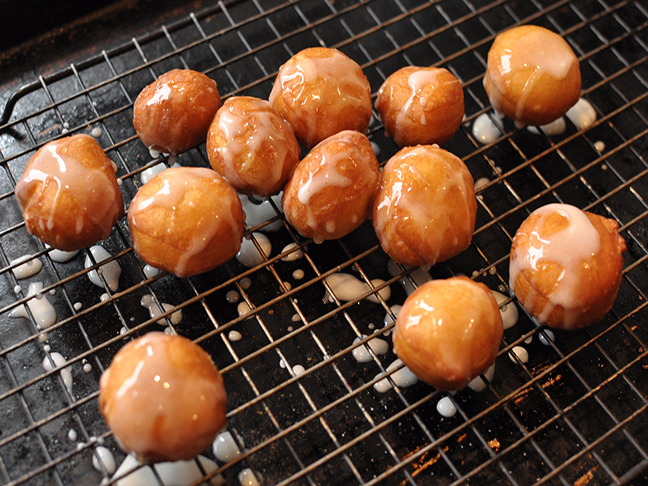 Step 9: Drizzle glaze over donuts and serve warm.